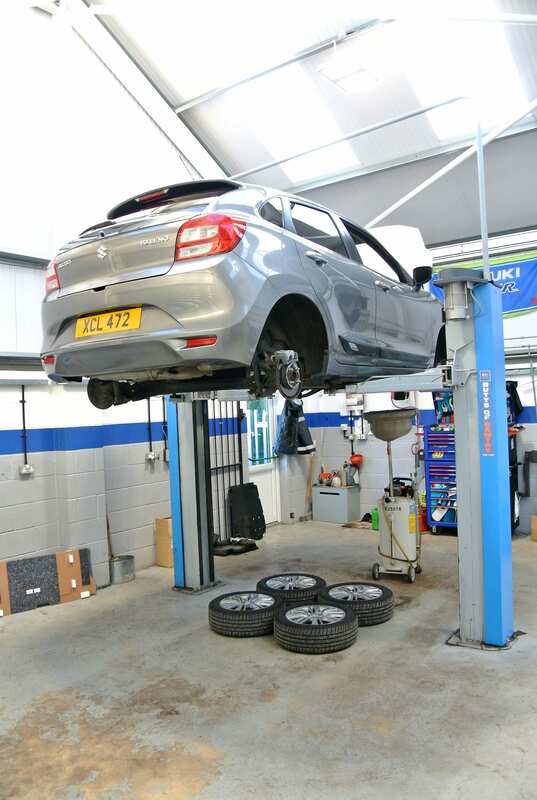 The value of good servicing is seldom underscored more succinctly than when driving back from the garage afterwards, states Iain Robertson, as Baleno undergoes its second annual service, with no untoward issues to report. While 7,500 miles annually is hardly a high mileage, it is surprisingly close to the average covered by most motorists these days. Of course, my ‘excuse’ for not using Baleno more extensively lies in the fact that I have around four to five other test cars to drive in the average month, which actually hikes my annual mileage in various cars to somewhere over 20,000! Having driven to Europe and Ireland in my car, as well as the north of Scotland and along the south coast of England, it is getting used but it can also be parked for three or four days at a stretch. However, every time I get into the car, it is like mixing it with an old buddy. I love the Baleno’s driving position, despite the fact that I stand two metres tall, which does introduce a slightly more knees-bent attitude than I might normally enjoy. Yet, I never feel uncomfortable at the wheel and my upright, as opposed to slightly reclined driving position helps to eradicate fatigue on longer trips, which suggests that the ergonomics team at Suzuki has performed a good task. 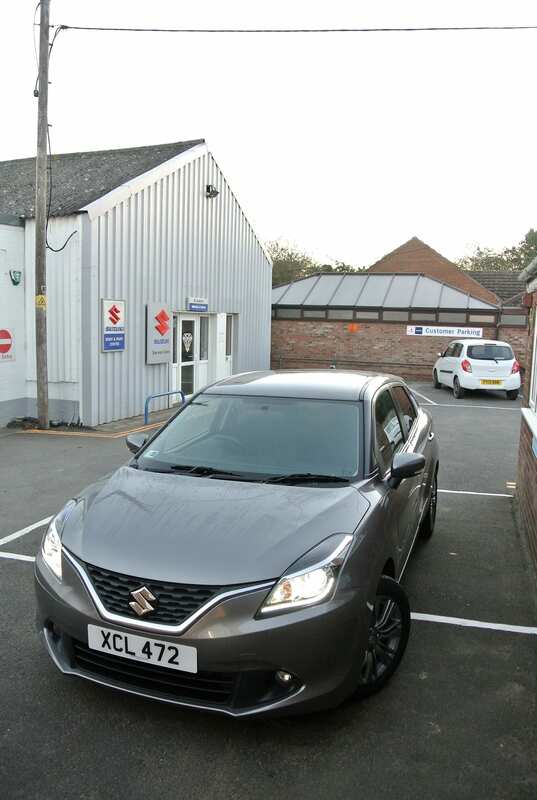 Driving the 40-miles to my preferred service outlet, Cropleys Suzuki, Frith Bank, near Boston, Lincolnshire, just as the sun was rising focused my mind on what the service team needed to do. The brake pedal was feeling a little ‘mushy’ and I needed to have the car’s clock synchronised with the touch-screen and readied for the winter time wind-back. The rest was routine. Declining the offer of a loan car, I awaited the return of the keys and just over three hours later, I was able to drive home. The ‘new car’ feeling was returned to Baleno. Its brakes were much crisper in their responses, the clocks had been synchronised and its performance had been honed. It is amazing what a brief hook-up to the diagnostic gear and fresh lubrication can achieve. As the temperatures have now dropped to a more consistent sub-10 degreesC, I have been keen to monitor the handling and roadholding of the Bridgestone Turanza T005 tyres that were fitted to Baleno back in March. 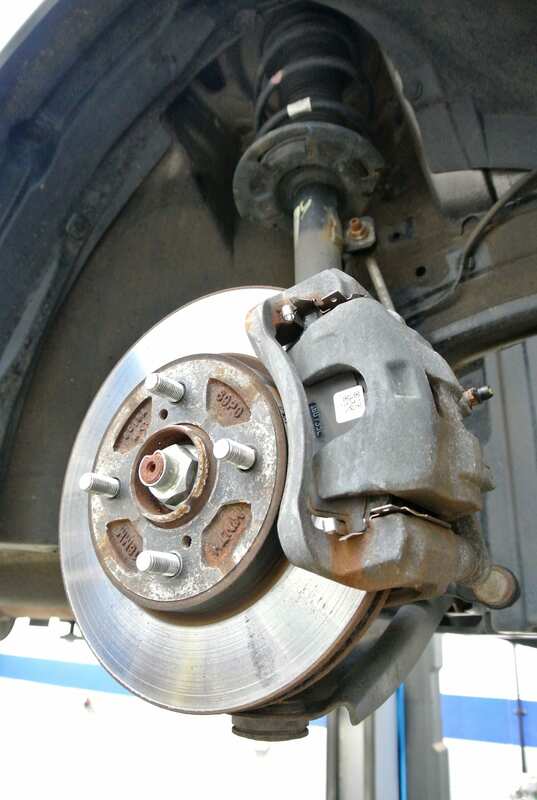 They are showing negligible but even wear, despite having covered around 5,000 miles of summer usage, with around 1mm shaved off the fronts and 0.5mm off the rears. At that rate, the front pair has a potential 35,000 miles of life, which is astonishing for such a compliant tread compound. Even trying to induce understeer at the front-end of Baleno, the grip levels are outstanding and the car seems to have as crisp a turn-in on moist surfaces, as it does on bone-dry tarmac. At regular speeds, there is no deviation from the chosen line and the car handles neutrally. I anticipated a small amount of slippage at higher cornering speeds but there is none to speak of; the tail following the front religiously. Although we have had the first early-morning frost of this autumn, it has not been extensive and I am really looking forward to driving the car on more slippery and sub-zero surfaces, to test the Bridgestones’ consistency. I have no reason, at this stage, to believe that the tyres will manage reduced grip anything less than competently. However, with an expectation of snow this winter, it will be interesting to see how well the tread pattern clears ice from the tyres. It will be a good test. Very obligingly, the car prep man at the garage also cleaned the inside of Baleno’s windows…the parts that my local Latvians sometimes miss, or marginally ‘fug-up’, when they provide the car with a ‘mini-valet’. My drive homewards was a delight and the car returned 63.1mpg, further evidence that a good service proves valuable. In light of recent surveys that suggest car owners are scared of visiting their local garages, due to a combination of too much jargon, excessive technological confusion and scary service charges, I have a solution. Request that the mechanic/fitter speaks with you in a language that you can comprehend and that, should major repairs, such as a cam-belt change, be due, the full task be explained. It is all very well having the belt replaced but unless pulleys and tensioners are also dealt with, the costs could be even higher, when the belt fails prematurely.